About a decade after the Magic Kingdom opened, Disney opened new park: EPCOT Center. While it wasn’t quite what Walt had planned, Epcot became a permanent World’s Fair where guests could experience culture like no where else on earth and companies could advertise a product, more specifically a technology, in a totally new way. Epcot is split into two parts: World Showcase and Future World. Today, we’re going to look at Future World, which is a land that was originally conceived as being supported by corporate sponsors to showcase free enterprise and its benefit for the future. Let’s take a look at what Future World has to offer right now and how it’s going to be changing in the very near future. Spaceship Earth is first on our list of Epcot attractions because it is the first thing you see when you enter the park and the park’s iconic attraction. 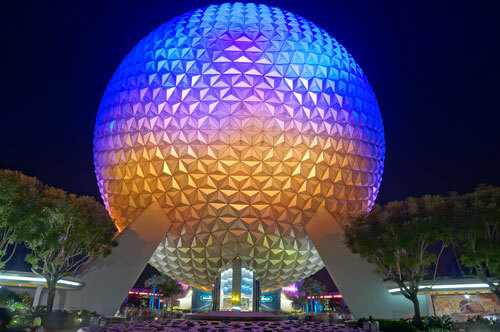 It represents Epcot with its image. 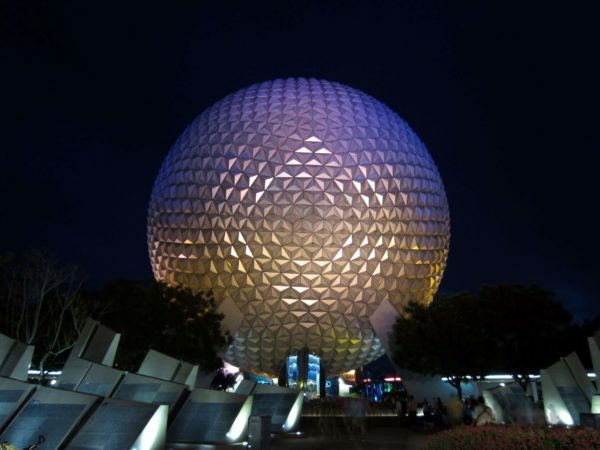 Spaceship Earth is an attraction inside of the 180-feet tall geodesic sphere. The outside is made of Alucobond, which is the same material that Apple uses to make their laptops. 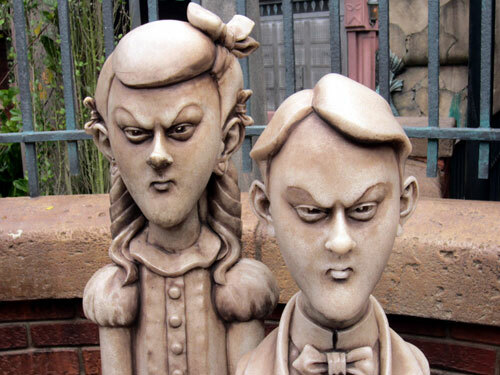 Inside is a classic Disney dark ride. This specific attraction takes you through the history of communication from the prehistory of the caveman’s communication to the future of communication and technology. Spaceship Earth is the park’s icon. After learning about communication here on earth, go to the left side of Epcot and check out what its like to be an astronaut! Mission: Space is a simulated flight experience. When it first opened, there was only one option: the extreme Orange Team. NASA scientists helped build the attraction and astronauts tested it after it was completed. They said it’s the closest to the real thing they’ve ever experienced. However, there’s a reason that not everyone is an astronaut. 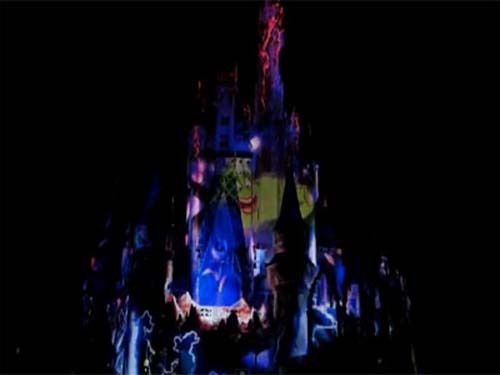 It proved to be too much for some guests, so they added a less extreme (non-spinning) Green Team attraction. It was identical except that it didn’t spin, but it also wasn’t as realistic. Just recently, they changed the Green Team so that it represents a more realistic experience. It now is a simulated flight around earth. Test Track is right next door to Mission: Space, and the purpose of this attraction is to teach guests about transportation. The building is sponsored by long-time contributor and Disney partner, Chevrolet. This attraction is unique because you actually get to build your own sim car and, with a little help from your incredible MagicBand, test it on a closed course. You can design your car with handling, responsiveness, efficiency, and speed in mind then test it on a variety of simulations including rough terrain, acceleration and deceleration, steep hills, obstacles, and finally a speed test which shoots you through a wall and outside reaching speeds of 65mph. After the ride, check out some interactive games using your own sim car and some of the current model Chevy’s on display! Journey into Imagination with Figment, directly across the park from Test Track has gone through some changes over the years, but it is very close to the opening day attraction. Figment, who is Epcot’s unofficial official mascot, is up to something mischievous, and he disrupts Dr. Nigel Channing’s tour of the Imagination Institute. Figment commandeers the tour and takes you through the five senses if a fun way! There are catchy tunes and some really cool experiences along the way. The Land is also an opening day attraction. This pavilion actually houses three attractions. Living with the Land is a boat ride on the lower level that takes you through a real working greenhouse and fishery. It first presents the issues we currently face with raising enough food to support the population with ever dwindling resources like water and space. Real scientists work here everyday testing new ways to grow crops on these limited resources. Soarin‘ Around the World is adjacent to Living with the Land, and it is an incredible experience. You’ll enter one of three theaters, sit in seats that hang from the ceiling, and the giant erector set-looking contraption lifts you into a surround screen. Then, you fly around the world over iconic attractions like the Matterhorn, the Great Wall of China, and you’ll land back in Florida at Disney World! This is, in my opinion, one of the greats rides Disney ever created. The final attraction is more of a show: Circle of Life. It’s a wide-screen film (that is, admittedly, a little outdated) with Simba, Timon, and Pumbaa during which Simba teaches his friends about the environment and some dangers we face right now. Scientists in The Land are constantly testing new growing techniques using limited resources! The Seas with Nemo & Friends is a slow moving dark ride inside The Seas Pavilion just next door to The Land. Board your clamobile and have some fun with your favorite fish! It seems that Nemo has gotten lost again, and his friends need your help to find him! Innoventions is towards the bottom of our attractions list because it currently only holds one exhibit – making it a shell of its original purpose. It started in 1982 as Communicore and changed to Innoventions in the 1990s. It featured small exhibits from smaller companies that, say, Chevy who could afford a whole pavilion. Colortopia, Presented by Glidden is the only exhibit in Innoventions, which actually consists of two buildings, now. When Epcot is reimagined in the next few years, Innoventions will likely be demolished and replaced with a park-like atmosphere with fountains and greenery giving a clear view straight through Epcot. This is a pretty exciting concept because it will be the first major renovation that Epcot has ever seen. The Universe Of Energy Pavilion is last on the list of attractions because it is currently closed and undergoing major renovations. Ellen’s Energy Adventure was the last show held here, and it closed in August 2017. It will be replaced with a Guardians of the Galaxy rollercoaster! This is very exciting because, if the rumors are true, it will be the first rollercoaster ride in Epcot. Epcot has several dining options with two table-service restaurants and three quick-service restaurants including a food court just in Future World. 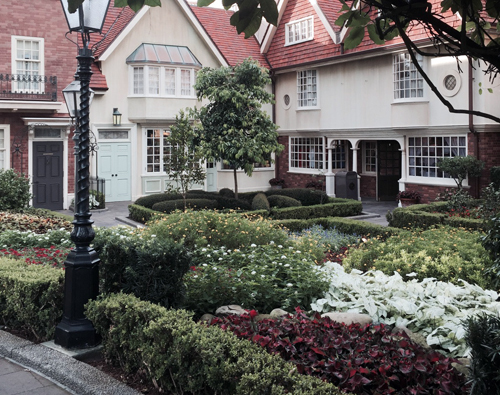 There’s much more in World Showcase! Garden Grill is inside The Land Pavilion, and it’s just outside of Living with the Land. Coincidentally, Living with the Land provides some of the food served at the Garden Grill Restaurant. What’s really cool about Garden Grill is it’s on a rotating platform so you get views of the pavilion plus views of Living with the Land as you rotate. Also, this is a Character Dining Experience with Chip and Dale, and it’s a pretty good time. Coral Reef is in The Seas is a unique/themed dining seafood restaurant. While you’re enjoying your delicious meal, you can see 4,000 fish, sharks, sting rays, and more in the second largest aquarium in the world! Sunshine Seasons serves some of the food grown inside Living with the Land. 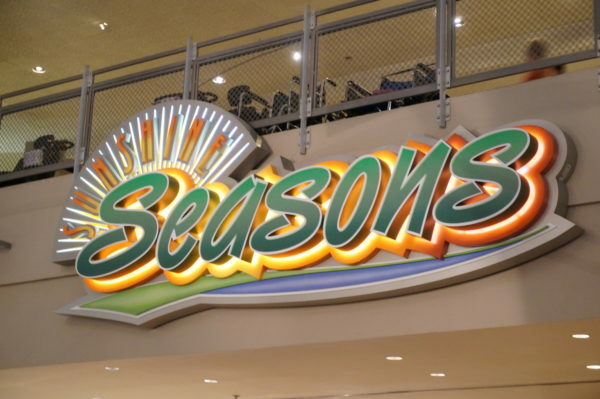 Sunshine Seasons is a large food court serving food cafeteria style with lots of choices from Asian, Grill, Sandwiches, Soups and Salads, desserts and kids’ meals. They also have some really good grab and go options. Sunshine Seasons is inside The Land Pavilion, and there’s a huge amount of seating with four sections themed to the four different seasons. 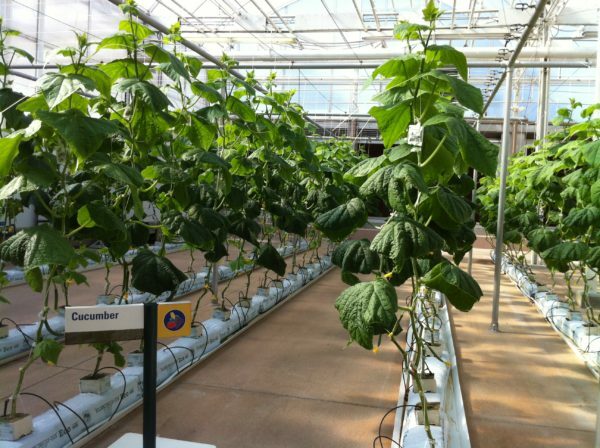 They also serve some food that is grown inside Living with the Land. The Electric Umbrella is a quick-service restaurant hosted by Coca-Cola which means that this is one of the only dining establishments in the parks where you can get your own drinks and as many refills as you want! If you’re looking for a simple, familiar meal, Electric Umbrella has you covered with burgers, chicken nuggets, and fries. 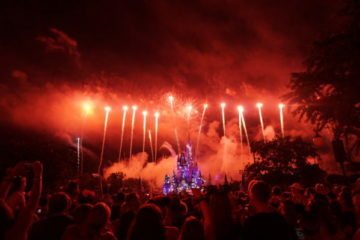 Epcot also hosts three festivals throughout the year: The International Food and Wine Festival in the Fall, The International Flower and Garden Festival in the Spring, and the new International Festival of the Arts in the winter. Each of these festivals brings some really cool displays unique to the festival, but Disney also sets up lots of food and drink booths. Each one serves a different theme, and while most of them are set up in World Showcase, they have overflowed into Future World. You have several options to get to Epcot. Every one of the Disney resort hotels has a bus service that will bring you here, and some of the hotels now have Minnie Vans that will pick you up in a private taxi and get you here faster. The Monorail runs right through the heart of Epcot! 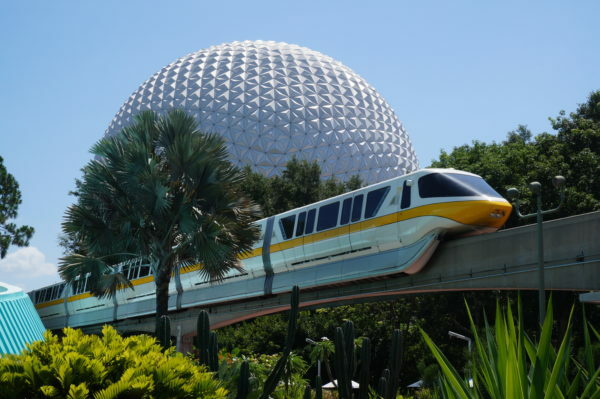 The iconic monorail also has a stop at Epcot. The monorail is like an attraction in itself, so even if it doesn’t service your resort, it’s still worth taking a ride. 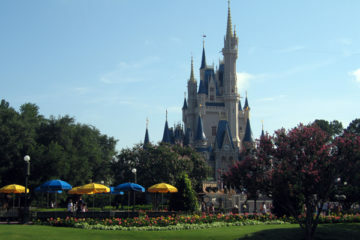 The monorail will take you to Magic Kingdom from Epcot, and it will save you some time on a bus! Disney is also in the process of building the Skyway Gondola. It will service Epcot, Disney’s Hollywood Studios, Disney’s Caribbean Beach Resort, Disney’s Art of Animation Resort, and Disney’s Pop Century Resort. What’s your favorite thing in Future World?